Hypnotherapy has emerged as a credible, evidence-based treatment option for sufferers of PTSD. Another common thread is that certain people or situations may suddenly remind the person of the traumatic event. We call these triggers. Are you struggling with PTSD? One of our graduates runs an online course that might be a fit for you. Check out the course by clicking here. Hypnotherapy, in a large part, deals with unlocking the subconscious mind. We must emphasize here that the main tools of the conscious mind are rational thinking, analyzing and judging. In contrast, the gifts of the subconscious mind are all located within our senses. The subconscious mind is a huge sensory vehicle consisting of the ability to experience our world through our senses: sounds, smells, tastes, visuals or pictures, and/or feelings. One way to locate what is stored in our subconscious in order to help an individual suffering from PTSD is to understand what the PTSD triggers actually are. Trigger events can be very disconcerting for any victim of PTSD who does not either know they have PTSD, or are unfamiliar with their own particular triggers. PTSD often goes undiagnosed by the medical profession and even in the psychological community. Common examples of undiagnosed people with PTSD can be adults who, as children, grew up with parents who were alcoholic, where there was violence, yelling, fighting and bullying in the household. A person who was physically, emotionally or sexually abused during the formative years most likely has grown up with symptoms of PTSD without it ever having been recognized or treated as well. Familiarity with the principles of the mind through hypnotherapy gives us the most effective tools to truly recognize, diagnose, and then treat PTSD. 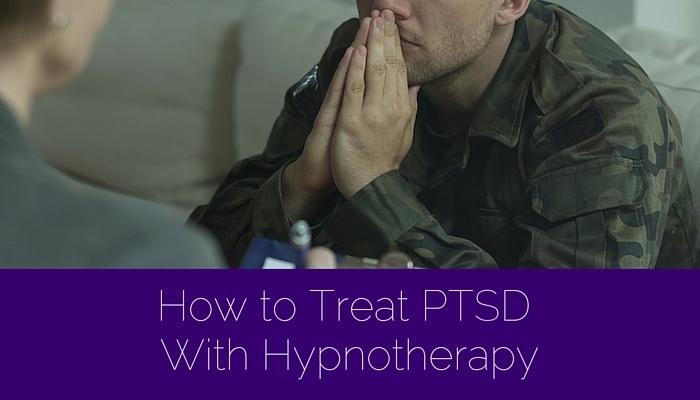 Hypnotherapy can be a powerful treatment for PTSD because it treats the issue at it's core: the triggers. Heal the triggers, heal the person. Because hypnotherapy is primarily a method for accessing and treating the subconscious, it's perfect for PTSD and countless other issues that originate in some type of trigger or locked away memory. If you are a therapist looking to increase your ability to access the subconscious mind, becoming trained in hypnotherapy with a reputable organization can help you learn those skills. Are you a therapist who is looking to better treat your clients, reach new clients, accomplish more treatment breakthroughs, grow your private practice, or continue your education? We have a six-day hypnotherapy training and certification program that will provide with the tools to treat 20+ issues, while giving you 60 CE hours and access to a new client base seeking the quicker results of hypnotherapy. This course guide will break down the entire course, from day 1 to day 6, and beyond.